The entrepreneurship journey does not come without a whirlwind of mental activity. With so many decisions to be made, from the adrenaline-charged start-up phase right through to clinching that first deal, the business experience is an emotional rollercoaster, requiring intense levels of mental energy, resilience, motivation, creativity and confidence. Such high orders of mental functioning may become overwhelming at times and can get to those with even the strongest of mental attitudes and positive outlooks. Juggling so many pressures all at once would compromise anyone’s mental wellbeing. The good news is that the human mind has the ability to overcome stresses associated with entrepreneurship. 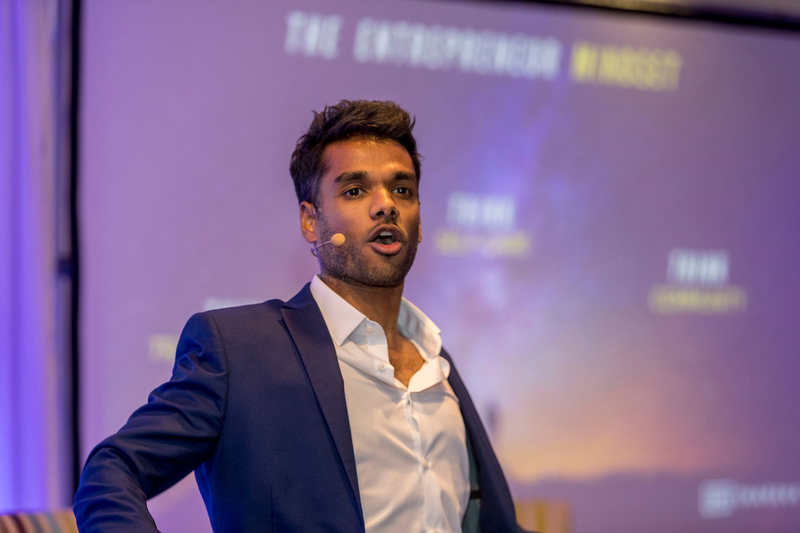 Clinical psychiatrist and medical educator, Dr Tharaka Gunarathne, explains how entrepreneurs can nurture an ‘I can’ disposition: a powerful and effective strategy when running a business. Dr Tharaka says, “I think that one of the biggest battles for anyone in entrepreneurship is in the mind. It’s all the gunfire that’s going off with doubts, fears, worries – entrepreneurs have to push through all of these. “What I do is take what I know about the human mind and interpersonal dynamics and put that into the hands of the people in business, to enable them to gain the skills and identify strategies that help them master their emotional state, effectiveness and ultimately up their game. With a strong background as a speaker and trainer for people in business and education, Dr Tharaka is a firm believer in people’s potential to optimise their own emotional state and to discover the best version of themselves. With his unique psychological insights, his role involves helping people maximise their performance and find deeper fulfilment in life. Dr. Tharaka says, “One key to high performance is to be able to master your ‘thought life’. We all know that our minds have a tendency to gravitate towards the negative – it’s much easier to get stuck on the negatives. “One of my top tips would be to intentionally reframe your perspective so that you’re perceiving situations in a hopeful way; constantly energising yourself for that long-haul entrepreneurship journey. In addition to the stress, the entrepreneurship experience can itself be a lonely one. Being at the centre of your business can mean giving it your all, without any time for respite. With high risks of isolation, Dr Tharaka highlights the significance of belonging to a likeminded ambitious community when confronted with the need to gear up your mindset throughout your business endeavours. He’s passionate about bringing business minds together to encourage each other and share their hopes and dreams. He was a keynote speaker at the recent launch in Aberdeen of The Gary Walker & Co Wealth Management Entrepreneur Club. “We often find it easier to endure challenging tasks when we’re in company of others in a similar situation to ourselves – starting a new fitness routine or even an evening art class can be easier and, and more enjoyable, with friends. Furthermore, I think that when you are amongst other people who dream big, you can more readily stretch the limit of what you are able to imagine or ask for in life, and therefore continue to move forward,” he says.